Colette is a free scholar that started in the Barony of Black Diamond in February 2014 under Master Aldemere’s instruction. She then moved to the Barony of Marinus later that year and became their rapier champion during her stay there. At the end of 2016, she moved to the Barony of Ponte Alto and became their rapier champion in February 2017. 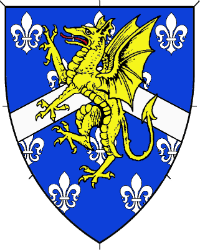 In August 2017, she joined the Order of the Sea Dragon at Pennsic War and moved to the Barony of Storvik. At Ice Castles 2018, she became Ensign and Aide to Master Dominyk Wolferam. 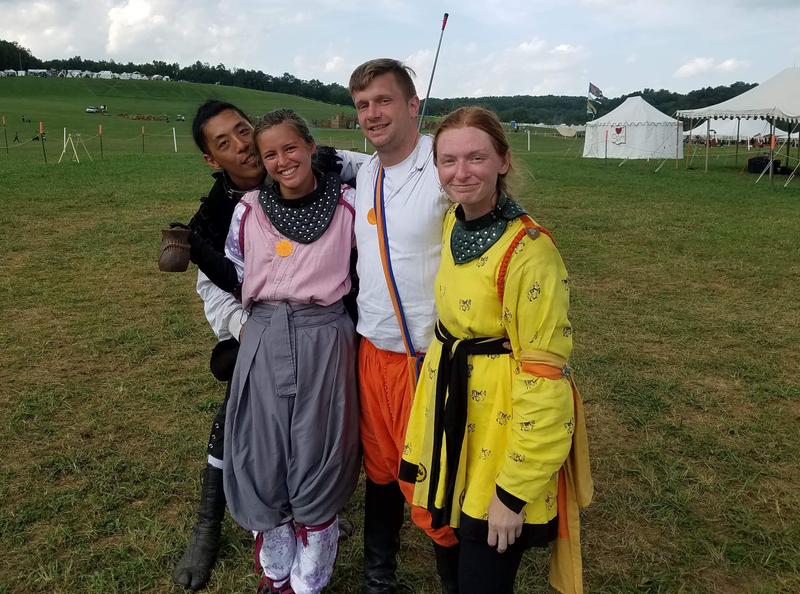 Colette then officially joined the Dragoons at Ymir 2018. 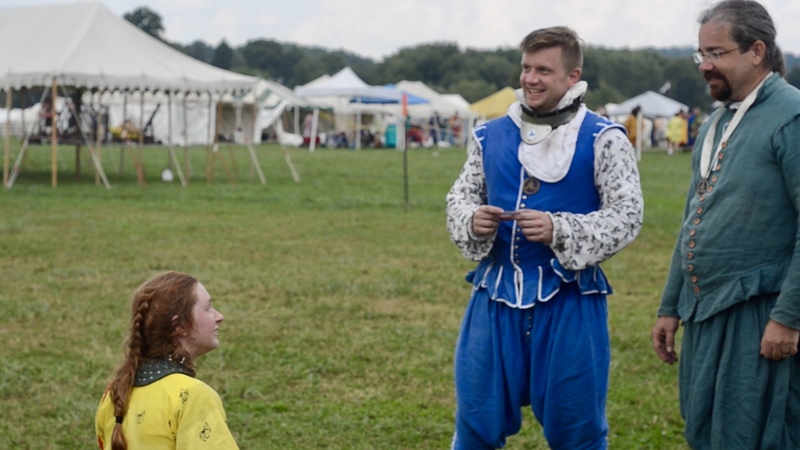 At Pennsic War 2018, Master Dominyk, along with Master Brian de Moray and Master Aeron Harper, raised her to the rank of Free Scholar in the Academie d’Espee. 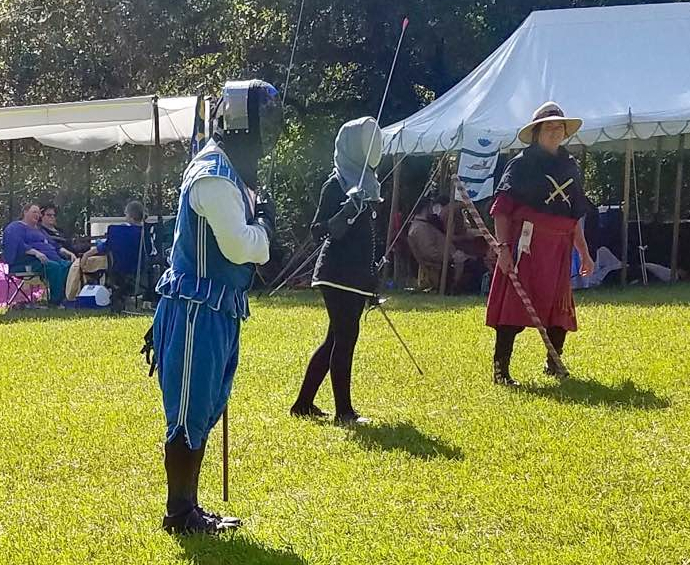 In September 2018, Colette, along with several of Dragoons, attended Rip Rap War II and proceeded to lay claim to Rip Rap Island. 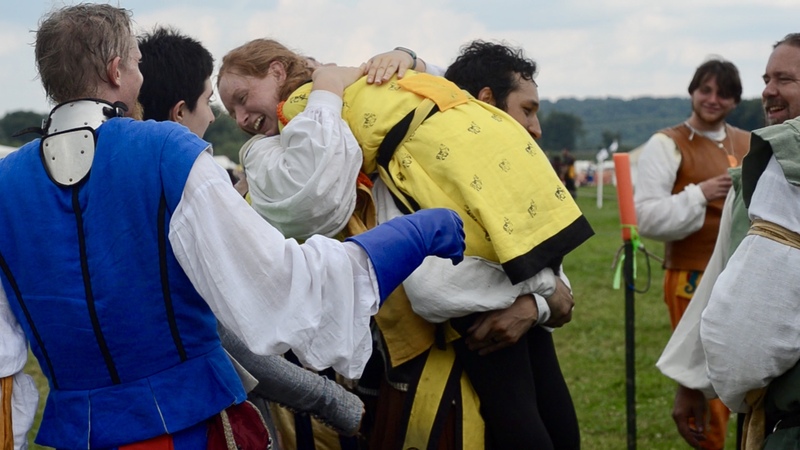 As insurance toward the claim, then-Unit Commander Lord Ffernfael offered Marinus then-Second in Command Lady Colette as their Rapier Champion for the coming year. Later that month, Colette moved back to the Barony of Ponte Alto.